Experiencing anxiety about going to the dentist office prevents many people from receiving the dental care that they need. This dental anxiety can mean more than just losing teeth or experiencing dental pain. If a person’s oral health reaches a certain state of decline, they can develop gum disease, a condition that infects not only the mouth but also other parts of the body. Because dental anxiety keeps people from the dentist, it is certain to result in decreased overall health! A recent study conducted at King’s College London shows that dental anxiety has a substantial effect on a person’s social, emotional psychological, and physiological states. Individuals with the condition tend to have missing teeth and active cavities. They are hesitant to smile and display their teeth and feel embarrassed about the condition of their mouth. They can also experience fatigue, sadness, and discouragement. So dental anxiety has very real physical effects. Most of these issues stem from the fact that people with dental anxiety avoid receiving regularly scheduled dental services. If they do visit the dentist, their dental anxiety may compel them to choose easier short-term dental solutions instead of long-term dental care that may be more effective in addressing their particular oral health problems. At A Supa Smile we’ve got your back. Just say the word, and your trusted Croydon dentist can offer a range of approaches and anaesthetics to help you relax and feel more comfortable. Believe it or not, dental anxiety is quite common. According to a study by the Australian Dental Journal the prevalence of high dental fear ranges from 7.8% to 18.8%, and more incapacitating dental phobia from 0.9% to 5.4%. So while you might sometimes feel like you’re the only one who dreads going to the dentist, rest assured that you’re certainly not! Because it’s so common, we here at A Supa Smile have plenty of experience in helping patients move past their dental anxiety so they can receive the treatment they need to achieve better oral health. As you can imagine, staying away from the dental office isn’t good for your smile, so it makes sense that we go out of our way to make you feel as comfortable as possible while you’re here. You think any kind of treatment you receive will be very painful. You think you might be judged for the state of your oral health. You’re haunted by memories of difficul dental appointments from the past. The good news is that if you know why you have dental anxiety, it can be dealt with! Identify your anxieties and learn about about realistic and unrealistic expectations, treatment options and what they involve, how to find the right dentist, areas of specialty, etc. Discuss your treatment with your dentist so you will know exactly what to expect. Ask for information you can read at home, or conduct research online if that makes you feel more confident. Be aware that others share your fears and can help you overcome them through self-help and peer support groups. You can find groups locally, or on the internet. Professional psychological counseling and psychotherapy also are available in more serious cases. Choose a dental team like the one at A Supa Smile, which has cutting edge technological, tools, and skills that make you feel safe and well cared for. Communicate your anxieties to your dental team. Communication is a key factor in relieving dental anxiety. 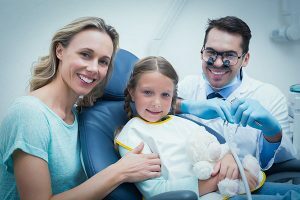 Openly communicating your concerns lets your A Supa Smile dentist adapt the treatment to your needs. Before a dental appointment, eat high-protein foods, which are calming and avoid foods high in caffeine and sugar, which can increase nervousness. Practice relaxation techniques like deep breathing, guided imagery, distraction, or hypnosis. Control the situation as much as possible. For instance, choose a good time for your dental appointment (perhaps a Saturday or early-morning time – early mornings leave less time for worrying about your appointment!). Or discuss a signal (such as a raised hand) that lets your dental team know you feel anxiety or would like a short break.